A graduation party is a perfect way to celebrate the hard work and dedication of a college or high school student. Celebrating with friends and family members at a graduation party will create lifelong memories and fun-filled experiences for everyone. Renting additional tables and chairs for a graduation party is an excellent way to save money and is a fantastic way to organize any function. 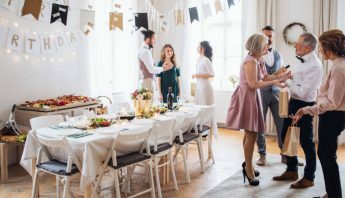 Of course, every event is never complete without a few graduation party ideas to create a truly special occasion that no one will ever forget. Here are five graduation party ideas to celebrate their accomplishment with family and friends. Audio and visual equipment is an excellent essential for any graduation party. A projection screen is an incredible way to display photos and celebrate the many years of a graduate’s hard work. A PA system is also a great feature for loved ones to share memories and is a must-have for anyone considering graduation party ideas. Outdoor tents are a great way to protect guests from the weather and keep everyone cool from the heat in Tampa. Tents are available in several different sizes and can seat anywhere from 8 to over 300 guests. You can also select from many different tent accessories, such as sidewalls, flooring, flags, and pole drapes. Graduation party ideas are never complete without delicious food for everyone to enjoy and celebrate this special occasion. 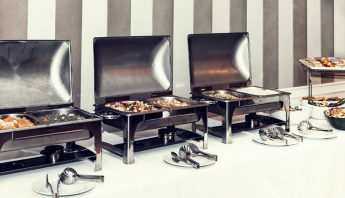 Of course, you can choose to rent catering equipment to ensure that everyone has plenty to eat and that you have the necessary cooking utensils. Concessions are always a favorite item, whether you rent a snow cone, popcorn, or cotton candy machine. Illuminating your graduation party with special lighting is an excellent way to set the atmosphere. You can choose from many different styles, such as globe lights, market lights, festival tent lights, or LED UP lighting. You can also select from a variety of rental packages to help you simplify your choices for graduation party ideas. One of the best graduation party ideas is to have a dance floor to celebrate with friends and family all night long. These dance floors are available in many different sizes to accommodate anywhere from 30 to over 100 guests. You also have the option to choose between a white or natural wood dance floor depending on the style of the graduation party. Celebrating a graduation is a time-honored tradition throughout the entire country. 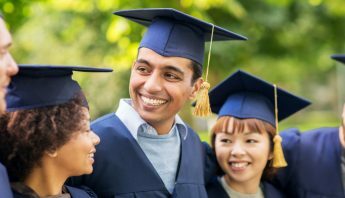 Choosing from a wide range of graduation party ideas will help you plan a special event to celebrate the many hours of studying and hard work to reach this lifelong achievement. Elite Events & Rentals is a company that offers a variety of products to help you create a truly one of a kind graduation party. We have over a decade of experience in the Tampa party rental industry, as we strive to always exceed the expectations of each client. Give us a call at (727) 791-7082 to schedule a free consultation and to learn more about graduation party ideas.